Reese J. Parish (Annie) and Rachel Zientek (Althea) discuss the library of heaven. Photo by Ross Zentner. What if our first encounter with extra-terrestrial intelligent life doesn’t go at all like we’ve imagined? Instead of E.T., or Jabba the Hutt, or Alf, what if evidence that we’re not alone in the universe came in the form of a hologram named Althea (Rachael Zientek), a somewhat obnoxious teenage girl who’s obesessed with her hair and nails? Sure, she knows everything that can possibly be known in universe and she’s here to recruit future rock star scientists who will contribute to a vault of itnergalactic knowlege known as the “library of heaven,” but can you really take an alien seriously when she’s wearing in a super frilly summer dress, a pink dotted jean jacket and OMG, the absolute cutest pair of sandals that totally bring that outfit together? Production photo from the touring production of “Miss Saigon,” opening April 2 at Madison’s Overture Center. The Panel That Wasn't -- A "Teach In" About Asian Sterotypes in Response to "Miss Saigon"
“This is not how I thought today was going to go,” said Timothy Yu at the “teach-in” he helped organize on the sidewalk outside Overture Center on March 27. With the poster for the blockbuster musical Miss Saigon in the background, Yu, a UW-Madison professor of English and Asian American Studies, looked slightly chagrined as he surveyed the crowd that was gathering to hear concerns about Asian representation in the touring show, which is scheduled for eight performances, April 2-7 in Overture Hall. “As of yesterday morning I thought this was going to be a sleepy little panel,” he said, originally predicting that 15 or 20 people would be in attendance. Instead, after officials at Overture Center abruptly cancelled the joint panel discussion just hours before it was scheduled, the group of interested onlookers swelled, taking over the corner of State and North Dayton Streets. 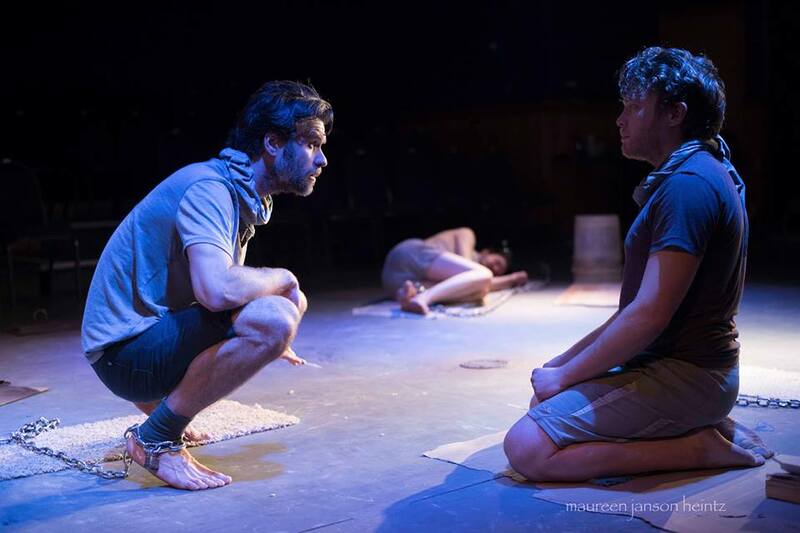 One of the most powerful experiences theater can impart to audiences is one of empathy. 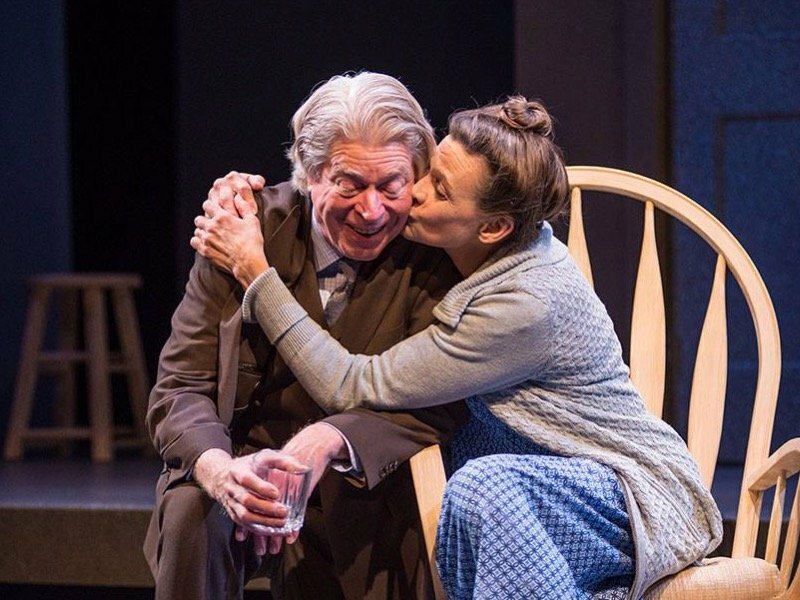 Florian Zeller’s play The Father accomplishes this in a way that a slew of other plays about older people in the grip Alzheimer’s or dementia cannot. 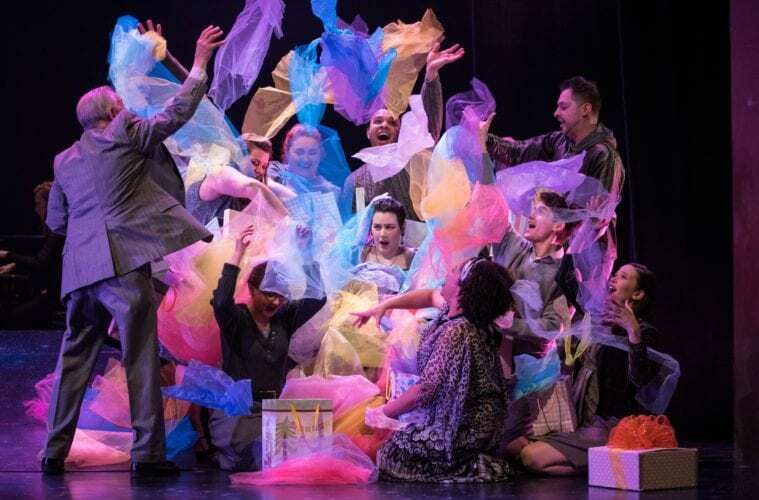 The current Strollers Theatre production, onstage at the Bartell Theatre through March 30, illustrates the main character’s final years, primarily through his own altered perspective. Instead of exclusively looking in from the outside at an elderly man who’s lost his faculties, through Andre (a remarkable Carl Cawthorne) the audience also sees a world that doesn’t make any sense. There are puzzling time lapses, new people showing up in each scene claiming to be relatives or caregivers, and contradictory information presented as facts. It’s as if the main character is the only sane person in an increasingly absurd world that refuses to snap back to normal. Photo by Maureen Janson Heintz. Over the course of a decade when the Lebanese Civil War was at its height -- 1982-1992 -- more than 100 foreign nationals were kidnapped and held hostage in Beirut. Used as leverage against Western intervention in the conflict, most of them were Americans and Europeans. Among the prisoners were Irish writer Brian Kennan and British journalist John McCarthy, who shared a cell for nearly five years before their release. The story of their captivity is the basis for Frank McGuiness’s play Someone Who’ll Watch Over Me, which is currently receiving an extraordinary production at Spring Green’s new Two Crows Theatre Company.